New pattern day – no joke! 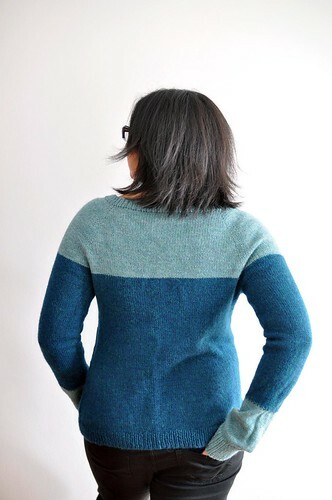 Ikemura is a fun, comfortable pullover featuring colourblocking and a swingy, easy to wear A-line shape. The notched neckline and extra-long sleeves are finished with simple ribbing. 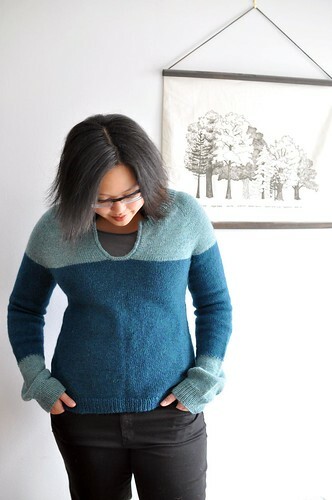 Ikemura is knit seamlessly from the top down with raglan sleeves. The upper yoke is knit flat, then joined to be worked in the round for the lower body and sleeves. Meant to be worn with -2”-0” / -5-0cm ease at the bust to ensure that the shoulders are a good fit – the swingy shape will skim over many body shapes. For the best fit, measure a sweater you like the fit of, and make the size closest to it. Shown in size 35.25” / 88cm with about an inch of negative ease. 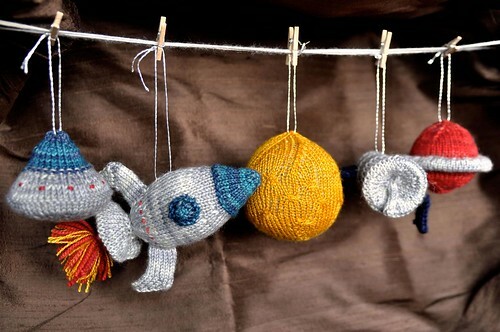 DK or sport weight yarn. 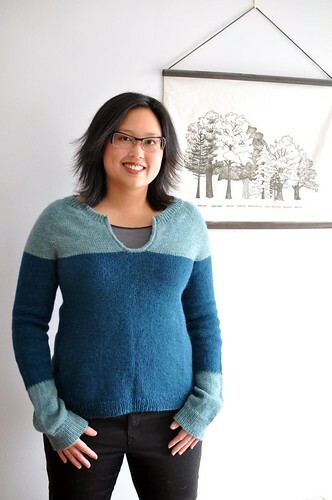 Shown in Berroco Ultra Alpaca Light. 6 page PDF pattern includes measurements in Metric and Imperial, schematic and abbreviations. Payment through Paypal and electronic delivery through Ravelry (no accounts required). Love the shape and fit of this, the hard part will be choosing the right colours. Very nice! I recognize that wall hanging too ;) Jenna is one of my faves!